Each MMI 2G software update brought stability and performance fixes for bluetooth, GPS navigation, amplifier, radio & TV tuner. Also some new features were introduced with Audi Multi Media Interface updates, like GPS map 3D view from software version no. 3460. Navigation announcements muted while phone call. Music volume lowered while navigation announcements. Direction arrows when searching POI. Fixes for CD chaners, radio tuner, amplifiers, bluetooth, TV tuner, DAB. Convenient switching between media sources. Fixed for amplifier, TV tuner, MP3 CD changer, head unit. Audi dropped support for MMI 2G software updates at version 5570 but continues to publish GPS map DVDs each year for this system. Performing this procedure may cause permanent damage to your car. If you have installed aftermarket language pack it will be overwritten. Make sure that you have in you car Audi Multi Media Interface 2G (MMI 2G). 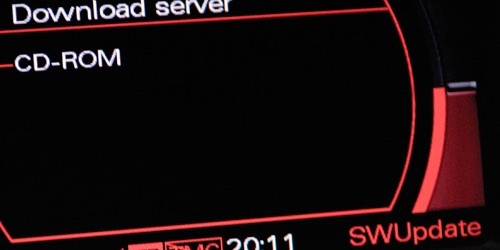 Check details in article Audi navigation systems – MMI RNS BNS RMC differences. Check you current software version and confirm that it is lower than 5570. Navigate to CAR → SETUP → Version and check SW line. First 4 digits are representing current software version. Update procedure can take couple hours. It’s important to eliminate any power shortage. If you battery condition is poor we recommend to use battery charger while performing this procedure. Turn of any unnecessary devices that can cause battery drain while key is in ACC position (HVAC system, interior and exterior lights, audio system, phone charger). During this procedure don’t use any electrical accessories (electric windows, power seats, central lock, electric boot lid). Take out all CDs from the CD changer that is in the glovebox or in the center console. It is possible to update to version 5570 only from software 5150 or higher. This step is necessary only if you are currently running software version lower than 5150. Turn the key to position II and wait for Audi Multi Media Interface to start. Load CD1 into first slot in the CD changer. Press and hold buttons SETUP and RETURN. After couple of second hidden red menu will appear. Release the buttons. Go to SWUpdate → CD-ROM. Update CD content will be verified. Audio will mute. List of devices ready for update will appear on the screen. Scroll down to Start download position and confirm the update. This will take up to 40 minutes. When the update is done you will see update status. Scroll down to Restart MMI and press it. System will reboot and go back to normal operation mode. Take out first MMI 2G software update CD from the CD changer. This is needed only if your car is equipped with bluetooth handsfree system. Perform the update procedure twice using CD2. You have to do it twice since first update procedure will erase bluetooth device memory. it will actually install new software the second time you run CD2 update. Perform the update procedure using CD3. This article was tagged Audi Multi Media Interface (MMI 2G), GPS navigation, maintenance and repair, software update, tips & tricks, vehicle audio. very usufull info you have! i’m glad i find ur site. i’m looking if i can find a manual or a schematic for the bose ampli on my Q7; damaged by water leacking from sunroof.. i did not knew untill it blow. i read all the info you put. from where i can get the 3 CD mentionned in updating the MMI? 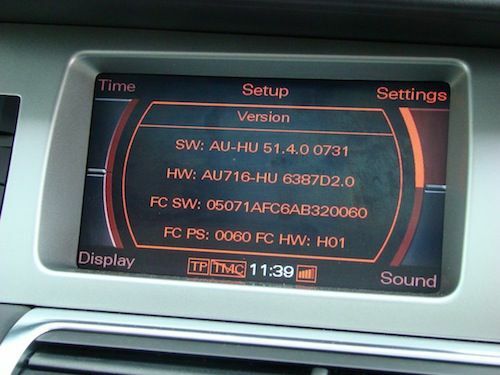 My Q7 is 2007 model, now untill i fix or buy new bose audio i cannot access the MMI to check my MMI version. You can buy those CDs from your Audi dealer. It shouldn’t be expensive. You can find part no. in the article. Before buying confirm with your Audi dealer that those CDs will work on your car for sure. What can I do to verify my version ? You can enter hidden red menu (press and hold both SETUP and RETURN buttons), then go to Interfacebox → SW-index. How do u enable the parking signstuff after update? I have A6 2008 V8 with 2G high MMI, Nav, Bluetooth, rear view camera, CD changer and AMI. The problem is that my CD changer is not working anymore so I am not able to use the CDs for upgrade. I do have VSDC software and ODB2 cable. Hi. In my knowledge there are two ways to update MMI. Eighter by using disk and CD changer or with Audi diagnostic tool (VAS). OBD2 cable just with VCDS or VAG-COM will not let you update the MMI system. Sorry. Where could I get the mmi update CD for my 06 a6? is it expensive? You can buy update CDs from your Audi dealer. With software versions as low as 1070 you need to use all 3 CDs from this tutorial. For Audi MMI 2G there are no official language packs. Try your local Audi forum for advice and remember that installing aftermarket software modification will terminate your warranty. Hi, I have a Q3 2014 model…It has a NAV button on the MMI but it says it is disabled. Can I upgrade the software to include GPS?? I tried with all slots and cleaned the whole cd charger but the same issue all the time. Local Audi dealer charge £189+VAT so I do not really want do it with theme. Is your update CD set designed for low/basic version? Because High and Low/Basic MMI 2G systems are completely different. Hey aften update My radio can’t play?? Component Protection (CP) might turn itself or something gone wrong while updating radio receiver. Best if you check with diagnostic interface. Yes it is for Low Basic. It written on the Cd cover. Try those CDs in your PC to check if your computer can read them without problem. Then empty the CD changer, place CD1 in slot 1, restart the MMI using three button combination (it’s here on the blog), when it start press and hold SETUP and RETURN, select SWUpdate and check if the CD will work. If not you should get a refund from whoever sold you those CDs. Your comment…My MMI screen is off. U press the MMI on/off button, the MMI screen saver comes on for a few seconds & it goes off. I had parked in the sun for a day(in Ghana). Could that be the reason? What can I do? This might me a overheat problem or one of the MOST components is not working (amplifier, navigation, SDS, CD changer, tuner…). Check all fuses, then try scanning the car with diagnostic interface. I accidentally clicked on the bootloader button in the green menu. Can you please help me exit? You need to insert update CD so the bootloader can be stored in the MMI. Just bought an Audi A5 2008 , when I checked version it said SW 0130 , is this the basic version as I cannot even alter suspension ( hard ride , its a Quattro , sport) and how can I upgrade it , is it a case of purchasing the cd’s from audi ?? 2008 Audi A5 will most likely have a 3G system. This tutorial is about 2G system. Hello. Very useful information, thanks! I have one question. I have Audi A8 D3(2003). When I update it with last version for 5570 something wrong. Because when everything is done my software is updated to 5150 not to 5570. Why is this problem? Maybe don’t have some modules for 5570? Thanks! MMI 2G head unit alone should be updated to 5570. Please verify if your update CD data is not corrupt. Is this also for AUDI A1 with MMI, and can i put the update a SD CARD? Start screen logo is the same for all Audi audio systems which is confusing. For sure you don’t have MMI 2G system which was available only in A4, A5, A6, A8 and Q7. Most likely you don’t have MMI 3G system but RMC system (Radio Media Center). You need to access hidden green menu and enable all missing features according to your cars equipment. Please check hidden green menu description for MMI 2G. I updated the first CD with no problems. When I try to update with cd2 (BT device) I get the message that no device selected for update. What I understand the Handyvorb2 is the BT device but I can’t check any of the boxes (bootloader or application). What am I missing? I have MMI 2G Hi, with telephone connection in the car witch I think means that I have BT? If CD2 does not indicate any pending updates then skip to CD3. Apparently not all BT modules needed CD2 update. I have a 2007 Q7 4.2l with MMI 2G 2740, I burned both ISOs on speed 10x, new laptops don’t have a lower speed, we tried the first CD the S/W update didn’t recognise the software, all devices said N/A, i burned a couple of CDs more same thing, then i tried to run the second CD immediately, and the devices recognised the CD, i started the download and everything completed except for the siruis, once i rebooted MMI worked fine, but some menu options did not view such as the battery indicator level, and most important Bluetooth did not work, i tried to downgrade to CD1 still same problem could not do anything, is there any solution to downgrade again to 2740 again and then re-upgrade maybe get the bluetooth working. 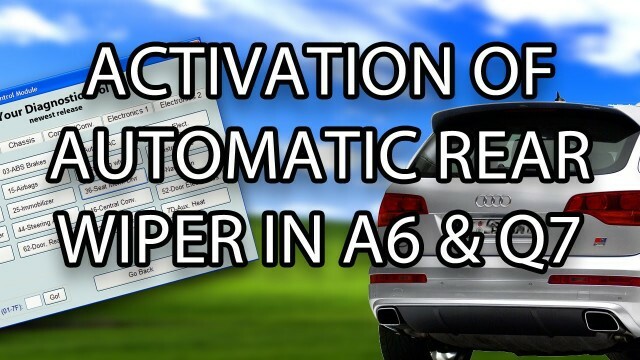 All you need to do is enter hidden green menu and enable those features according to your cars optional equipment. I followed the steps you mentioned in this site, but I fail to enter. There is no more available settings. I have 07 Audi Q7. the software version is 2740. The car has no NAV, rear camera, Bluetooth or hands-free feature. in my case, Is there a benefit from updating or not? If you don’t experience any issues with the system (lags or glitches) I don’t recommend performing this procedure. It will bring no new features. Hi I’ve got a Q7 2006 AVUS with rear camera, and BT. My phone reach to connect the MMI but when I stop the car it loose the connection. I’ve tried to update the bluetooth module but it seems to do nothing. I see only “Restarting the device…” again and again. It also show 0 N.D the 1 N.D … but nothing seems to work. I’ve waited 1h at least. I’ve updated nav and mmi to 5570 without any problems and my DVD are brand new factory one’s. Any idea that could help ? If you loose BT connection when turning off the car, you should visit electric workshop and check if BT module is powered correctly. Hi, how do I know if I have the high or low 2g MMI? 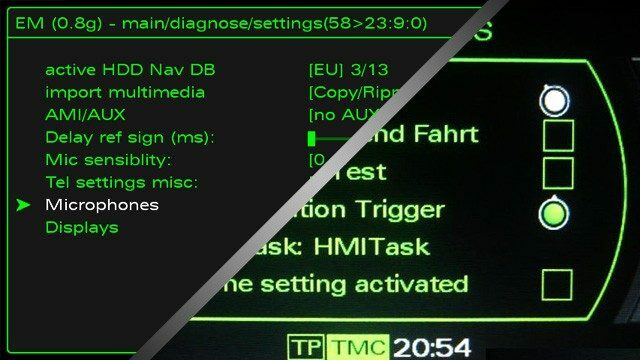 MMI 2G low (basic) uses monochromatic red screen. MMI 2G high uses full-color 16:9 7” screen. Hi. I have run the 3CDs fine – and the update looks to have worked properly, but I cannot find the 3D maps on the sat nav. (I’ve got an Audi A6 Avant, 2006, with 2015 maps). What have I done wrong? Go to Navigation, press SETUP button and look for 3D/bird view. Hi. I have update the MMI, but now when i turn of the MMI appears the MMI welcome screen . It is all right ???. When i have the old software the MMI turn off for real…. !!! Can you tell me if i have to change something from Settings ? If you turn it off by press and hold of the volume knob, then yes – MMI logo should stay on the screen with small clock on the bottom. If you want to turn the display off, use button on the dashboard. My 2002 A8 currently does not have blue tooth functionality, will updating the software remedy that? If you want bluetooth in your car you need to retrofit BT module, microphones and code it. Updates with success! But not without turning the engine on. 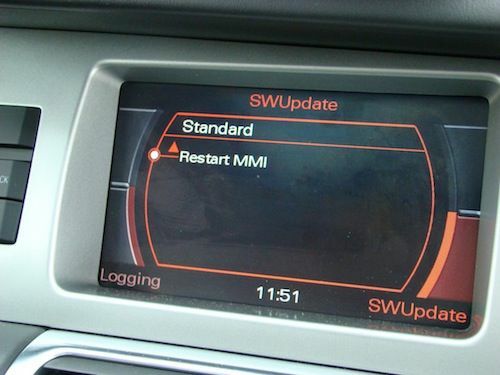 – If your MMI does turn on after clicking the On/Off button, and immedietly after the Audi logo back off, don’t worry. Without the engine running, but power on this never worked for me. -> if you have no bluetooth you will see nothing is selected for this CD. Hello,how can i open hidden green menu without conection to pc. Sorry but you need diagnostic interface to enable hidden menu. I paid a guy with full vcds £20 to enable mine, whereabouts are you? I have an Audi A6 (2006). I updated MMI to version 5570 a while ago and all worked well. I had AMI retrofitted recently. I do not know which version AMI the software is. I have an iPod touch (5th gen) and attach it using an Audi 30 pin cable (4F0051510AG) and an Apple lightning adapter. When I try to use the iPod through AMI, it is hit-and-miss as to what happens. Sometimes it is fine and plays without any problems while sometimes it says the device does not have any playable tracks, or it might show some tracks but then freeze when I try to play them. Do I need to run the MMI update again / update AMI / or use a different cable?? run the 5570 update again. You AMI module can have older software that’s not fully supported by the latest MMI head unit software. I have had problems using a Bluetooth Viseeo WMA 1000 device plugged into AMI to play Apple Music from my iphone. I have had hit and miss playback and the “no playable tracks folder” on and off for a long time. I have software 4420 on my MMI. Have you solved your problems? mr -fix.info says run the update again but surely you would need the cd changer and ami connected to update it. Is that your set up? you need to code both parking module and MMI module to support this feature. Use all 3 CDs. First one will update your MMI to 5150, second is for handsfree system, third will update it to 5570. Maybe your bluetooth module does not require CD2 to be installed. Go to CD3. I need to update my MMI software for audi A6 and also update the navigation. How can I do this? I cant even get green menu either. I downloaded some program onto a CD but when I went to start download in the red menu I didnt start. I cant change anything in the red menu – it all seems dead. Don’t use downloaded software/firmware as it can damage your car. Just bought an used 2007 Q7 with no Bluetooth, back camera, or navigation! Is there any hope of me getting these features? When you press knobs ( tele, nav…) it says not installed! Please can I add an aftermarket radio with these features and if so what kind? I’m a female in Chicago and I don’t want to be taken advantage of or damage my vehicle. Are you sure that you have no navigation? You don’t have DVD drive under the trunk floor for the map disk? use CD1 to go from 0770 to 5150, then CD2, then CD3 to go from 5150 to 5570. Good morning. I purchased an Audi A6 quattro le man’s 3.0 diesel. I also have the update cd’s. The mmi version was way below 5.0 and so tried to load cd1. Followed instructions but no update after an hour so gave up! Is there any way of knowing whether the cd is actually uploading I. E any indication on screen? Did you perform all steps from the tutorial? Empty the CD changer, put the update CD in slot 1, enter update menu with CAR and RETURN buttons? Thanks for the speedy reply. Yes I had my phone with your tutorial in the car with me and was frightened to get out in case any electrical interference! It may be my slot 1 cd as I have the owner manual cd and a couple of times it says no cd inserted when it had been. Having said that when I went through the tutorial it recognised the cd rom and got to the point where display said software update do not use electric stuff (or words to that effect). Hi! While updating MMI and other components (amp, nav box, cd changer, tuner…) some of the devices might loose coding and adaptation values. Please check all components if coding is correct and it fit your car equipment. You can quick look for a 0000000 coding. If you can find empty coding, then try you have to analyze all modules. Hello, I have 2005 A6 3.2 will update for MMI allow my to use my phone as Audio out Via BT? Hello I have Audi Q7, have a problem when comes to CD2 and try to start download for the 2nd time it states “no device is selected for updating” . I have carried on to disc 3 but my initial problem with telephone function not working is not fixed. Maybe your phone module is broken/disconnected so it does not work and can not be updated. I have q7 2007 bat the B.T is not working wat i shoold do? and if its posibol to apgrad the versun? Are you sure that you have bluetooth in your car? This is an optional equipment – not all Q7 have bluetooth. CD2 is not always needed when updating MMI system. Even if bluetooth is installed. So wen presing the telphon nuten its show no thelphon instold.. Check if your update CDs are not scratched. I updated my audi a6 2006, but i used the 2nd cd only one time, now bluetooth aint working anymore, i tried to repeat the update again, but now even with cd 1 the update doesnt start. i tried by removing the battery for 15 mins but still same, any suggestion? Thanks! I have a version 4140. 0709 , to what version I can upgrade , I’m leaving in US and how many CD’S I have to use? After updating is it possible to have suspension issues? Also what can happen if the car was driven while being updated? if you update while driving you’re risking the CD to skip track and bricking your MMI. Hi I have a Japanese import audi a4 2008 with MMi High, can I still update using these disks? It’s best if you recode your car to the correct region. My Navigation DVD is failing intermittenty. (wont display map). Looks like failing laser. I bought a second hand replacement but it fails to initialise. It is not component protected. If it came from a car with newer software than mine (4220) would that prevent it from working? On each map DVD there’s a software included needed for maps to work. If the drive and discs are both OK, then it should just work. You should buy original CDs at dealers. It cost like 10$ and you don’t need to worry about improperly burned CDs that will damage your MMI. Hello, i’m stuck informação cd2 for more transferência 2 hours. It says initializing pheripheral and then for a second in contact With pheripheral. I have inserted the first cd and have Bootloader (234>240) and Application (2120>5151) ticked…how can I tell if the update is actually happening? Scroll down to “Start download” and press it. When updating my A8 MMI HIGH gen 2 to 5570 I get the following message: “Audi mmi, following device is not in download mode: AMI”. And the AMI is not updated neither when using disc 1 nor disc 3. Everything else seems to be upgraded and to be working just fine. Tried to unplug the “AMI-cable” but that didn’t help. I’m not sure if remember correctly, but alternatively you can update AMI with Usb drive connected as AMI source. I have a 2009 Q7 (USA) that i recently updated the nav disc. Now the navigation seems to drop from maps to the destination (where you enter the destination) screen on its own. Any idea what might be causing that? I bought an A5 from the US market and the maps , software is from that country. Can I change the software to the ureopean version by myself? wich type of procedure I have to do? You need to get update CDs for Europe (or whatever region you want to use), recode and update the software. My car is a A6 AVANT 3.2FSI QUATTRO with MMI 2G. In MMI the SW number is C6-HU 6362 07.4.0 0444, which is a strange software version number when comparing with what other audi owners post on the web. I’m wondering if it is a different software version regime because of its Japanese origination or language pack. I want to upgrade my MMI system using the MMI 2G software update to version 5570 via the red screen and loading the cd’s one by one (3 in total). I’m hoping this will overwrite the japanese language pack currently loaded onto my MMI system. Do I load the Euro version or is their an Aus NZ version I should be looking for? Yes yours is different as is Japanese. It will be older 2005 software release. Red menu can not be locked. You should be able to access it as long as you have MMI 2G system, using correct buttons in correct order. Hi, i have an AUDI Q3 My 2012 European model without navigator (only 1 SD slot), my MMI software is: RMC EU P11474, if i upgrade to the latest versione 5570 i will have in the green menù the “CAR” function and i will can activate the battery level ? You don’t have MMI. You have RMC. 5570 update was for MMI 2G, which was never installed in Q3. Where did you get update discs from? I have try to make the update to the A6 of my father, CD1 seem to go well, but after the reboot, I cannot access to the update menu anymore (setup-return)! U need to read enable green screen menu using a vag com tool. Installed CD2 and it took approx 6mins and restarted the MMI automatically. Then installed CD2 again to make the Bluetooth work (Bluetooth worked with iPhone before this update) and the install seems to be taking a long time (over an hour) is that normal? You don’t need, but you can install 5570. I try to update but get error metaininfo.txt in line 2269, try with cd version 3360 and get no disk loaded. Which car? Which year? What SW version? 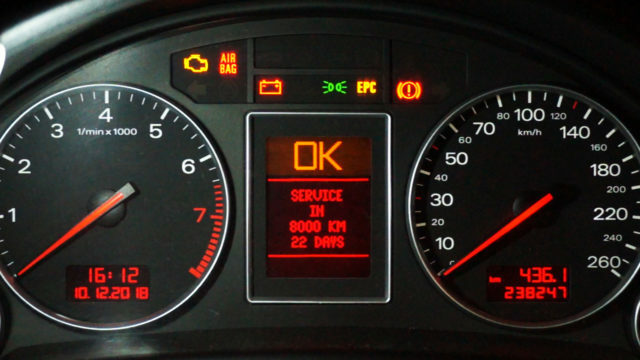 I have audi Q5 2014…and how I now what upgrade I can make on it? Is it possible to run navigator from SD slot and music listen from DVD? You don’t have MMI 2G in your car. will the same software for USA work for 2G Low and High or are there different software for each? Yes you can update. Use CD1, then CD3. You can retrofit bluetooth to this car. You’ll need BT module, microphone, some wiring (if your car is missing it) and diagnostic interface to code it. There’s something wrong with your update CD. This should not take more than an hour. I think updating my software on my 2007 Audi C6 Avant and enabling battery monitor has caused a problem where the car now does not go into standby and or shut down electrical components which is causing my battery to slowly drain overnight causing a low battery warning every morning and no exterior and interior lights on dark mornings. Can anyone help with how to fix this, I am thinking it will need to be rolled back! Is this possible? Great site. Just bought Audi A6 2007 which has MMI 2G High and which is running version 4220. There is no Bluetooth. I am considering having the Fiscon BT kit fitted. What is the best order? Fit Fiscon then do software update? Or update to 5150, then fit Fiscon, then do BT update on CD2 and finally CD3? Is there a risk that updates could cause Fiscon to fall over? CD2 updates only original devices so you don’t even have to try running it. First do full update to 5570, then connect whatever you want. Most likely disk image is damaged/fake or CD is burned incorrectly. I do not recommend using self-burned update disk. THere’s a risk of bricking your MMI. Hi, Few questions. I have USA version 2009 Audi A4 (B8 Model) my Radio No: 8T1035186R Display N: 8T0919603A HW: H01 SW: 0301. I believe I have 2G High. Would this update work for my system? I am having issue with the radio drawing voltage and someone said if I update the firmware it will fix the issue. Thank you kindly! You most likely don’t have MMI system but Audi Concert, Chorus or Symphony. It should help with it. Does it mean, I have US 4610 already, so I only need to run CD3 ? I have Audi A6 2008, There is no Bluetooth and Telephone not installed. If I update to mmi is its works bt. Hi, I get “error 129 from device” after disc one and now it also says “radio not installed” if I try to use my radio as normal! can I update my MMI Version c6-hu 03.6.0 0336 directly to 5150 and then to 5570, or do I need to update first an older version?